Let’s face it: you’re not looking forward to the SATs. (And if you are, well, there is likely something terribly wrong with you.) But, hey, the SATs don’t have to be completely traumatizing. With a bit of practice (okay, maybe a lot of practice), you will find yourself pleasantly surprised when you finally get your scores. Ladies and gentlemen, here are three awesome test practice resources (other than the ones on CollegeXpress, obvi) you can have at your fingertips right now . . . for free! 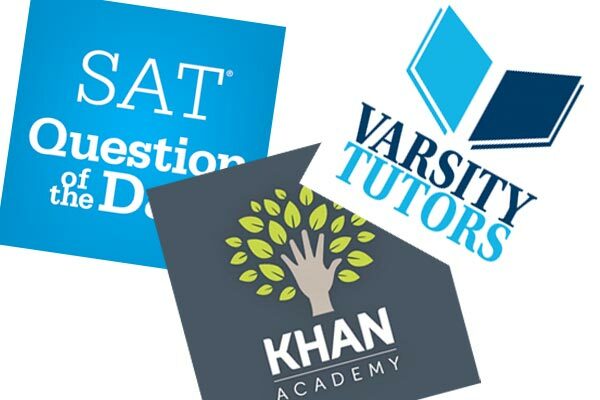 Khan Academy has teamed up with the College Board to provide an excellent online study program for its members. It’s mostly geared toward the new SAT, but they have help for the current SAT too. In any case it’s free to join, and you will receive a personalized study program you can go through at your own pace. After taking a few simple diagnostic quizzes, it will tell you which topics and skills you need to improve on, and viola! You’re well on your way. Are we in Africa, because how Kenya not love Varsity Tutors?! For one, they have both an app and website through which you can create your own study account. Second, their practice quiz bank has mock-tests for every possible standardized test under the sun, including the SAT, ACT, PSAT, SAT Subject Tests, AP tests, and ACCUPLACER among tons of others, some of which are required for certain graduate and post-undergrad forms of higher education. Additionally, not only do they have several collections of practice quizzes, but they also offer flashcards, diagnostic tests, and a question of the day in each subject, all of which are available at no cost! Pretty sweet, right? Many of us are easily overwhelmed by the concept of designating long periods of time to sit down and study. If you fall into this category, you may want to consider downloading the app entitled SAT Question of the Day. Through this app, you can attempt one SAT-styled question each day, which rotates between reading, math, and writing. If you accidentally miss a day, no worries; the app saves the questions from the past the past 30 days so you can catch up with ease. Question: which one is the best? Answer: all of them! You should try each one and choose the method that works the best for you. It’s hard to go wrong, as long as you’re willing to work hard and study for the SATs, which don’t actually stand for “studying and torture” after all. You can thank me later. As for right now, get studying! What Does Test Optional Really Mean? Carly is a junior in high school who enjoys reading, writing, and blogging. When she's not studying, you can find her acting, running, playing tennis or violin, or eating chocolate. Carly also loves fashion; she designes, makes, and sells her own jewelry and will soon be expanding to online platforms. President of her school's Spanish Club, she is looking into international business, as she loves what languages have to offer.